Me My Elos Pro Ultra review - how does it measure up? It's super easy to use and suitable for use on ALL skin tones. Clinical tests show it also works on light blonde and red hair, but there are too many faults reported with the device to be able to recommend it. Luckily, an updated and rebranded version is now available. There is a more up-to-date and improved version of this system. Read the review here. We couldn’t wait to get stuck into the Me My Elos Pro Ultra review. It’s designed to work safely on darker skin colouring and lighter hair. And the promise of speedy results after a short 6-week treatment program is impressive as well. The Me My Elos Pro Ultra is incredibly easy to use. 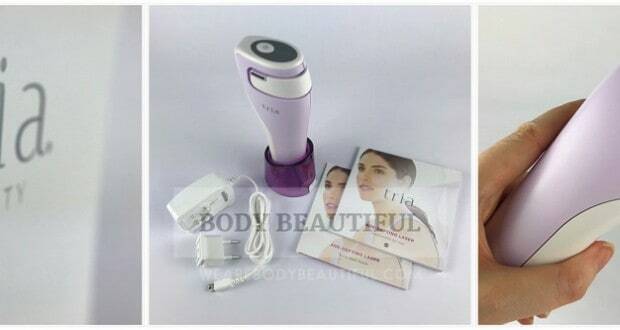 It has a super-easy treatment technique, the quickest treatment times and reassuring safety and comfort from the combined IPL and RF technology. It’s expensive, and we’ve rarely seen it on offer. The lifetime value is below average and beaten by most other devices, even with the replacement cartridges. The user reviews report good results on both light and dark skin tones, but a large number of technical faults were also reported. Customer support from Homedics was good both pre-sale and when faults were reported bu users. Warranties are honoured for devices bought from UK resellers i.e. Amazon.co.uk. But, if you are buying from the US and Canada you should read on for important information. view the updated system here. The Me My Elos Pro Ultra is special because you can use it safely on all skin tones (Fitzpatrick skin tones I to VI). If using on your face, please note that it’s not suitable for the darkest VI skin tones (darkest brown to black). It’s suitable for all hair colours too, even blonde, red and grey / white hair if you epilate immediately before using the device. The manual states it will take more treatments than normal to achieve optimum results. Keep reading to the ease of use section to learn how this device is suitable and safe for darker skin tones. The Me My Elos Pro Ultra boasts just 6 weeks for its recommended treatment program. 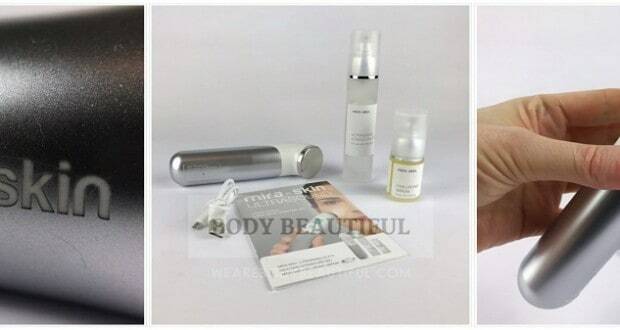 It recommends you’ll need 7 treatments at weekly intervals to get optimum results. That means by the end of the 6th week you’d be finished your program, although lighter hair colours will need longer. Programs range from 6 to 24 weeks, so the Me My Elos Pro Ultra is in first spot. Top up treatments are recommended too so that your skin will stay hair free. This is a guide only. You may need more than 7 treatments. Learn more about what results to expect here. As with the other devices, higher energy settings will give best results, and are suited to the lighter skin tones. You must select the appropriate energy level for your skin tone (read the user manual thoroughly before use). So how long will it work to keep you silky smooth? The Me My Elos Pro Ultra comes with 200,000 flashes (models with fewer flashes are available). It has a large 3.3 cm 2 treatment window. You’ll use more flashes than other devices because during a treatment, you need to flash each area 2 or 3 times. We assumed you’ll use 2.5 times the flashes, so in total you can cover an area around 264,00 cm2, or approximately enough to treat 2,200 pairs of armpits! The Me My Elos Pro Ultra is the most expensive of the devices we’ve reviewed at around £450. This means it costs about 20p to treat a pair of armpits. The updated and rebranded version will cost less and offer better lifetime value. Replacement lamp cartridges with 120,000 flashes are available too. They cost around £85 or $150, so for additional cost you can extend the life of your device to maintain your results. 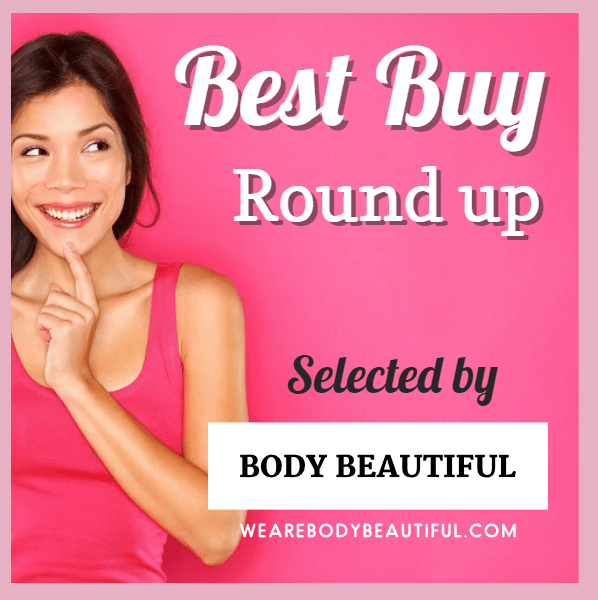 Buy from Boots.com OR view the updated system here. Treat 10 cm2 in just 45 seconds! The Me My Elos Pro Ultra is incredibly easy to use. It’s a mains-powered / corded, comfortable to hold device. Like some of the other devices, it comes with a facial attachment (and protective goggles) so you can more easily treat smaller and more awkward areas like the top lip and chin. 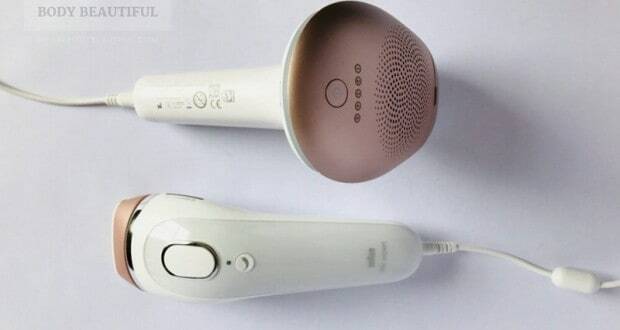 It’s different to other devices because it uses a combination of Intense Pulsed Light (IPL) and Radio Frequency (RF) energies to heat the hair shaft and follicle. This is why it’s suitable for darker skin tones. You can learn more about how it works here. 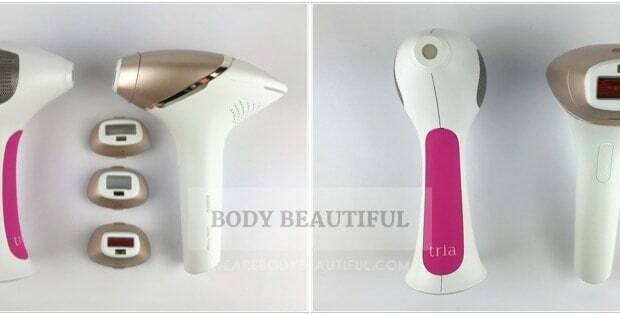 The lower energy output also means it pulses much more quickly than the other IPL and laser devices. You get a pulses every 0.9 seconds and with a treatment window size of 3.3 cm² this means you can treat a full leg in just 10 minutes. There are 2 treatment modes. You can either hold and release the pulse button for a single flash, or hold it for continuous flashing as you glide the device in a ‘smooth soft motion’ over your skin. When using the facial attachment you can get only the single flash. It’s design feels intuitive, like shaving or epilating, and the ease of use is repeatedly reported in the reviews. With this device you should treat the same area 3 times, but not return to the same area in less than 10 seconds. This technique is very different to the other devices where you must not treat the same area more than once, or else risk skin reactions. The glide mode really is fool proof. Maybe this fluid technique explains why there are no reports of users missing bits, leaving hairy stripes and patches. You’ll need much more attention, focus and precision when using the other devices. It’s mains powered so there’s no need to charge before use – just plug in and go. But you may not get a full body treatment done in one sitting. Some reviewers reported the Me My elos Pro Ultra did get very hot and would short out, interrupting their treatment sessions. You may need to wait for it to cool and become usable again. There’s more on this in the next section. When it came to the finer detail in using the device several reviewers commented that the user manual was lacking and the ‘instructions are inadequate’. This is one of the only negatives mentioned by users. Read on to learn why the customer reviews left us scratching our heads in confusion! Out of the 47 online ratings, the Me My Elos Pro Ultra scored 53% at 4 star and above. There’s a mixed bag of reviews out there. Check out the table and chart below to see the online ratings breakdown for the Me My Elos Pro Ultra as of December 2014. To help you decide if this device is right for you, you can see the most helpful feedback from the customer reviews below. First let’s look at the results and then the pros and cons of the device itself. So does the Me My Elos Pro Ultra work? 60% of reviewers say it does. As with other devices, the reviewers attempt to set expectations that the results are not instant and that ‘it takes time and you have to be patient’. A number of these reviews were from users with darker skin tones too (see the following quotes). So that’s a thumbs up for the combined IPL and RF technology. In contrast to this a high percentage (24%) of the reviewers report it does not work. 9% of these reviews were left at less than 6 weeks of use, which is probably too early to confidently consider this feedback fair. However, 15% of reviewers reported that even after the recommended 6 week program, they were disappointed by little or no results from their treatments. Most devices reassure you that you will start to see results after the first few treatments. So this number seems too high especially when compared to the consistent results reported from the Philips Lumea SC2006/11. So that leaves a large percentage of reviewers unaccounted for. What did they report? Keep reading to find out! Here are frequently mentioned pros and cons from the customer reviews. You can use it if you are tanned, so you can continue using it in the summer months! The Me My Elos Pro Ultra promises so much – and for around half of the reviews we researched, it delivers. But it’s worrying that 47% of reviewers left low ratings at 3 stars and below. On top of the 24% that reported the device had no effect, we counted 19% of reviewers who reported faults with their devices. This is a worrying and common theme in the reviews. The faults ranged from faulty facial attachments, cutting out mid use to just ceasing to function at all. One reviewer, who really wanted the device to work for them, had 3 replacement units until they regretfully accepted a refund. The disappointment and frustration is obvious in these reviews. One reviewer comments there is obviously “a problem with this technology”. So we are curious. For the reviewers who reported a lack of hair removal results, could such technical deficiencies also be to blame? With this in mind, you’d want reassuring aftersales support. We cover this in the next section. The Me My elos Pro Ultra comes under different device names, is not available in all countries and there are several reseller microsites often with contradictory information. You can’t contact the manufacturer direct, so we didn’t feel the same level of trust and support as we did with Philips and Remington. In the UK the device is marketed by Homedics. Homedics have a microsite that offers good information, but lacks a user manual download and clear contact details. The pre- sales support team were largely unhelpful, simply referring us to the user manual. Online reviewers do give us confidence that Homedics provide good aftersales support if there’s a technical fault with the device. 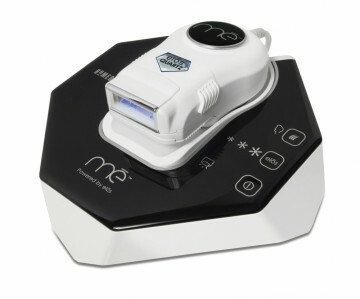 You can also buy the Me My Elos Pro Ultra from Boots.com and customer reviews said that Boots service is exemplary. They promptly provided replacements or refunds if you experience technical faults, and some unsatisfied customers returned their device for a refund with no problem. The US and Canada website mepower.com promotes only the older, FDA approved Me Smooth. Don’t mistake this for the Pro Ultra as it offers only a meagre 6,000 flashes. They explained the Me My Elos Pro Ultra is not available in North America and “If you do buy from unauthorized sellers, or fraud websites, we cannot honor the warranty or perform any exchanges for you”. This includes Amazon.com and Ebay. But we did find positive reviews left on Amazon.com for sellers who provided excellent support for faulty devices. So, if you’re buying from the US or Canada you’ll need to find a good retailer who will help you if you have a faulty device.